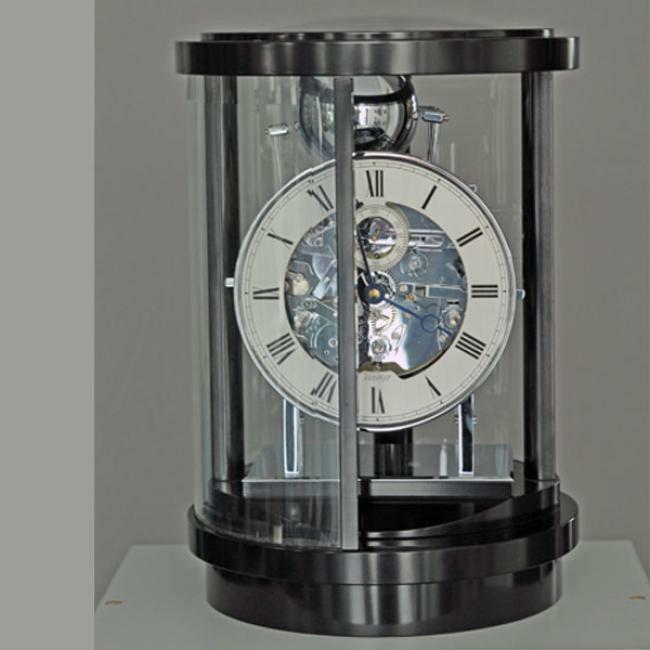 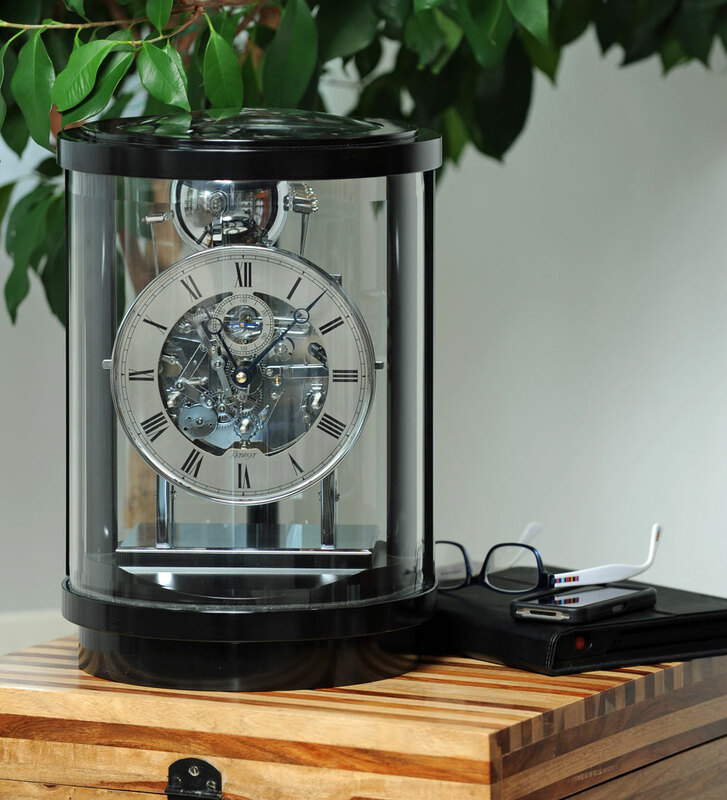 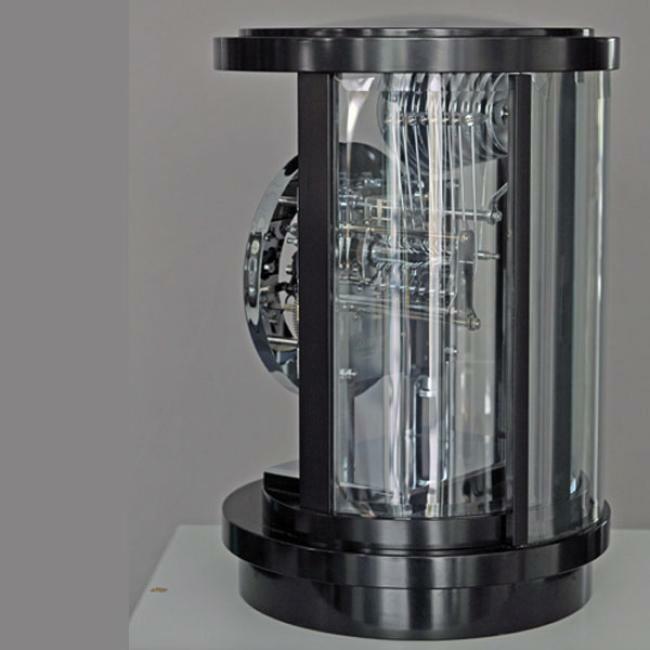 Kieninger design: Sophisticated mantel clock in black lacquer finish with a completely round base shape. 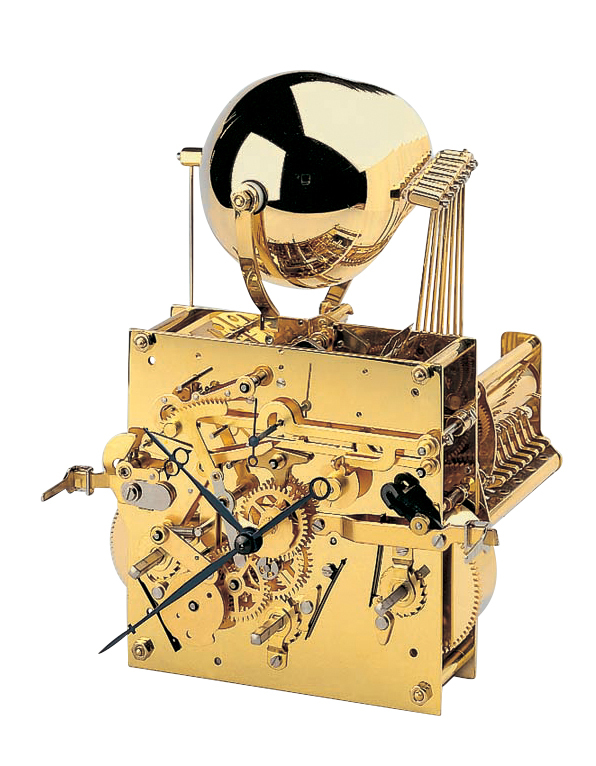 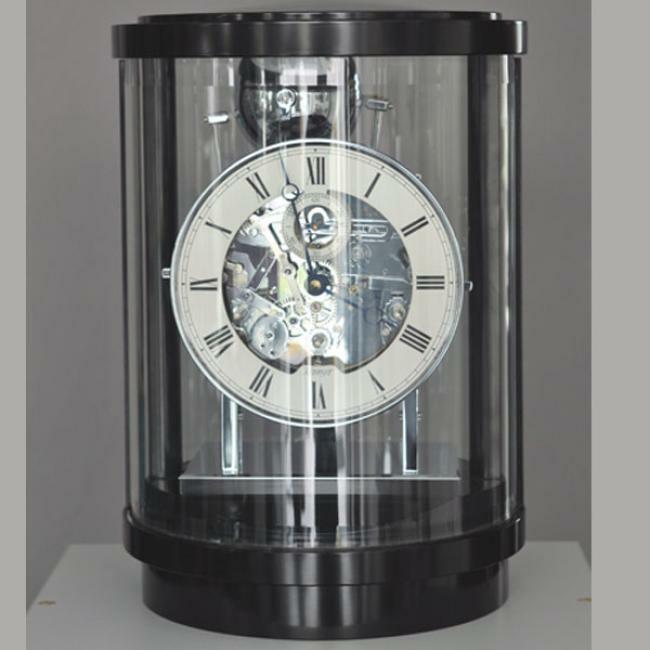 Curved and bevelled glasses, the dome glass top and an open silver plated dial ring 18 cm allow a complete view of the movement and bell chime. The front glass can be opened by turning it around the clock.